Meet my favorite new brownie. Trust me, it’s an important introduction. It’s kind of like when you meet your soulmate and want to make sure your friends all approve. This brownie situation is similar; I really, really hope you all approve. How could you not? 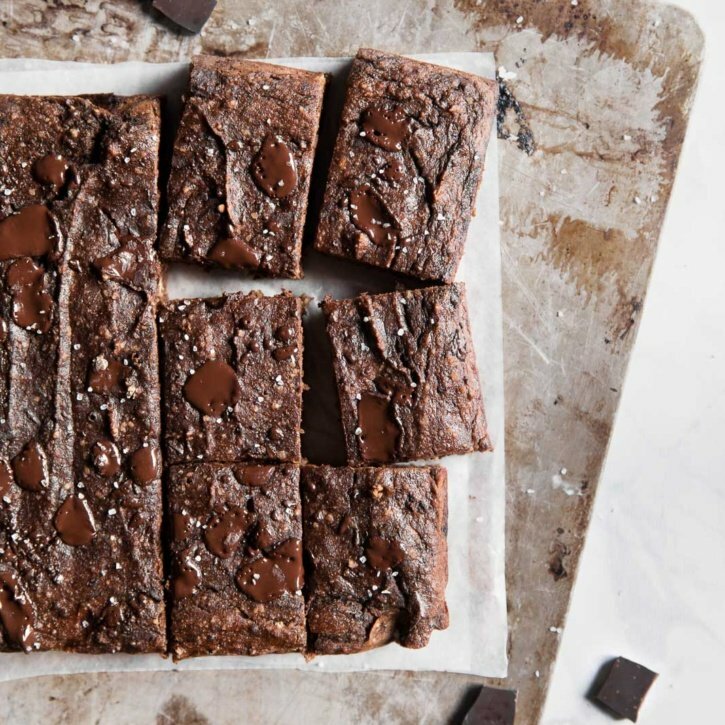 They’re freaking fantastic fudgy almond flour brownies! Too many f words? When was the last time you had a brownie anyway? 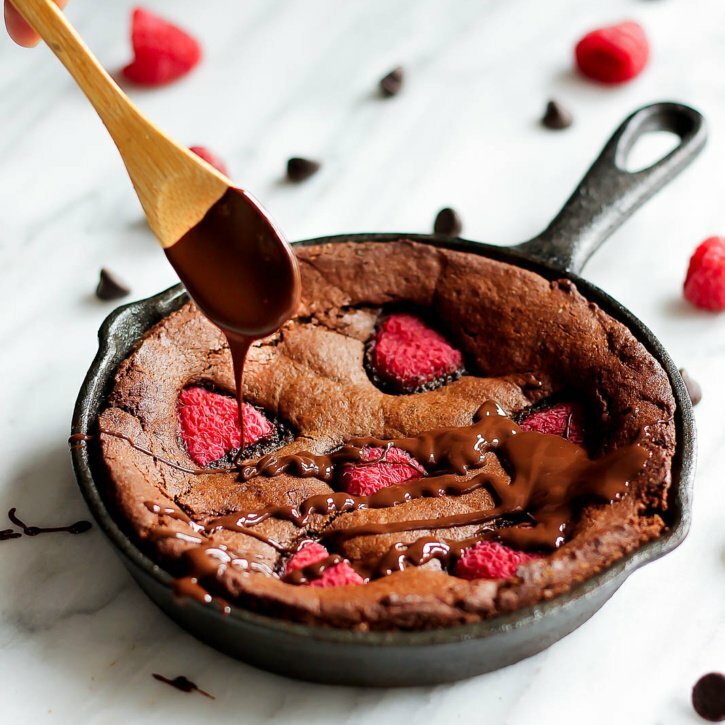 I’m talking about a rich, fudgy brownie that talks to sweetly your soul and warms your heart with love. One that you need a big glass of milk for. Those are exactly these kind of brownies. 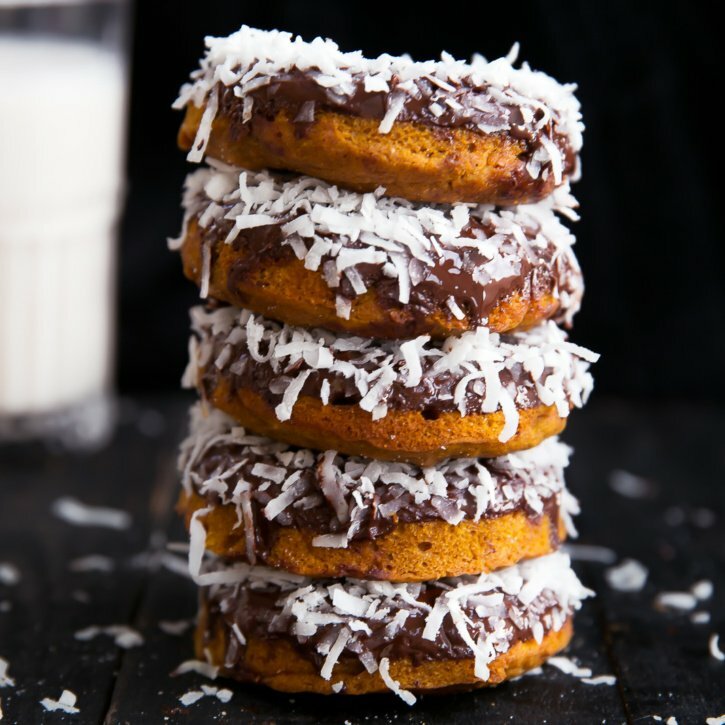 Raise your hand if you’ve ever had a cookie for breakfast. Now raise your hand if it was an epic buttery chocolate chip cookie, or basically anything leftover from holiday or party festivities. Yep, that’s what I thought. We’ve all been there. Sometimes leftover chocolate chip cookies sitting on the counter are just too good to pass up at 8am. I feel you. But hold up! 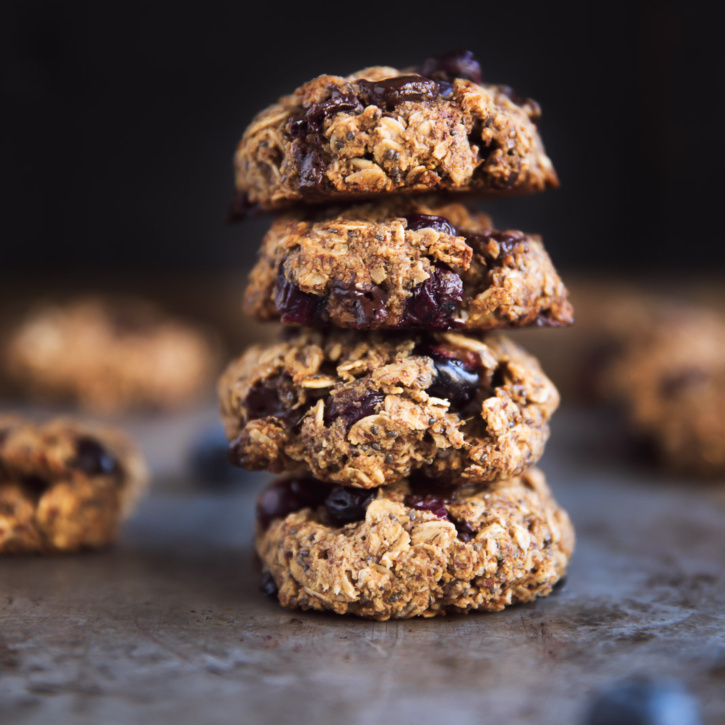 I’ve got a fantastic recipe for you today that’s nutritious, free of refined sugars, is naturally vegan AND gluten free. Sounds a little too good to be true, right? Just the other day I was dreaming about donuts again and then I realized that I’ve had these beauties in my drafts since last October. Yep, over 6 months ago. Memory issues? Perhaps. Or maybe I just had too many other delicious things to post back then. I’ll really never know, I’m just sorry these didn’t come sooner because THEY ARE SO DAMN GOOD. How was your weekend, friends? It seems like Spring finally decided to come out over the weekend and I’m feeling extra joyful because of it. On Saturday, Tony and I went consignment and resale store shopping. I spotted a mid century modern bookshelf for $60 and knew immediately I had to have it for my office! I’m trying to best to get organized, so having a bookshelf for photography props and books is a must. I opted to paint the bookshelf white and it turned out absolutely stunning. I’m very, very excited to show you my office makeover (hopefully soon!). 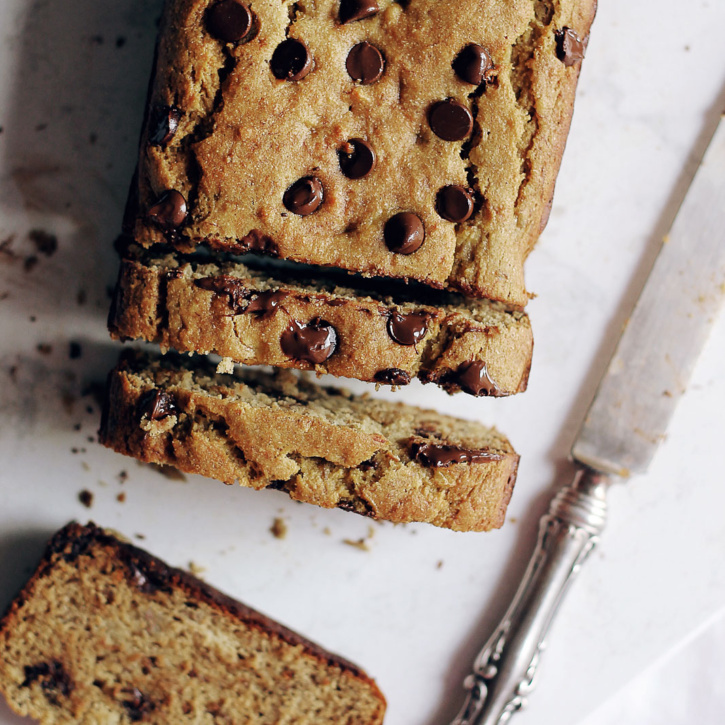 It always feels exceptional to wake up and notice banana bread sitting on the counter waiting to be devoured. You know it’s going to be even better than it was the first day, if that’s even possible. Yet you tell yourself you’ll have it later, perhaps for an afternoon treat. Shortly after you open the pantry and peer into the fridge, you realize you’re absolutely having that banana bread for breakfast. There’s no stopping you. You’re craving it NOW. That was my situation last week and it ended with me enjoying two thick slices with peanut butter on top. Plus a few fresh strawberries, chia seeds and huge chunks of dark chocolate. Because antioxidants, right? If there’s one thing I learned about myself during my health and fitness journey, it’s that I absolutely must have snacks (like these peanut butter energy bites) available or I become an out of control raging hypoglycemia animal. Think Tom Cruise mixed with a wolverine. Very scary stuff. Ever since I’ve been little, my blood sugar has always been on a rigid 3-hour dive schedule. As in, I’m the type of person who has to have something to eat every few hours or I’ll crash. My mom says that when she brought me somewhere, she always had to make sure that she had food with her otherwise I’d ruin the day and throw a fit. Terrible, right? But it’s true! When I get hungry, I cannot think, make decisions or even pretend to be in a good mood. I’ve seen the doctor a few times about it and apparently that’s just the way my body is. Wacky. 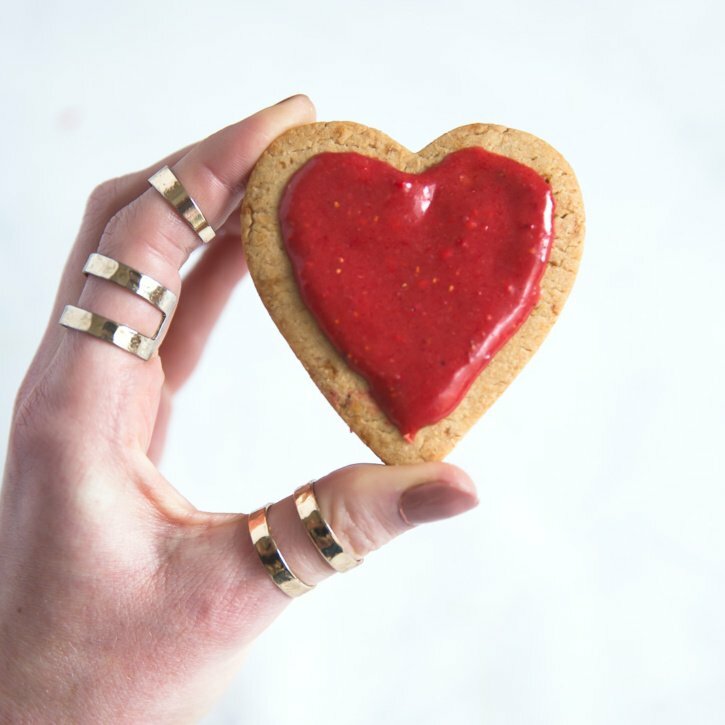 Out of all the cookies on my site, I noticed that there wasn’t a single homemade sugar cookie! HOW DARE I. Admittedly, I’m a little ashamed. Especially as a self-proclaimed cookie radical. No politicial talk here, we believe in cookies for the greater good of America (and the world). I’m here to give the people what they need! 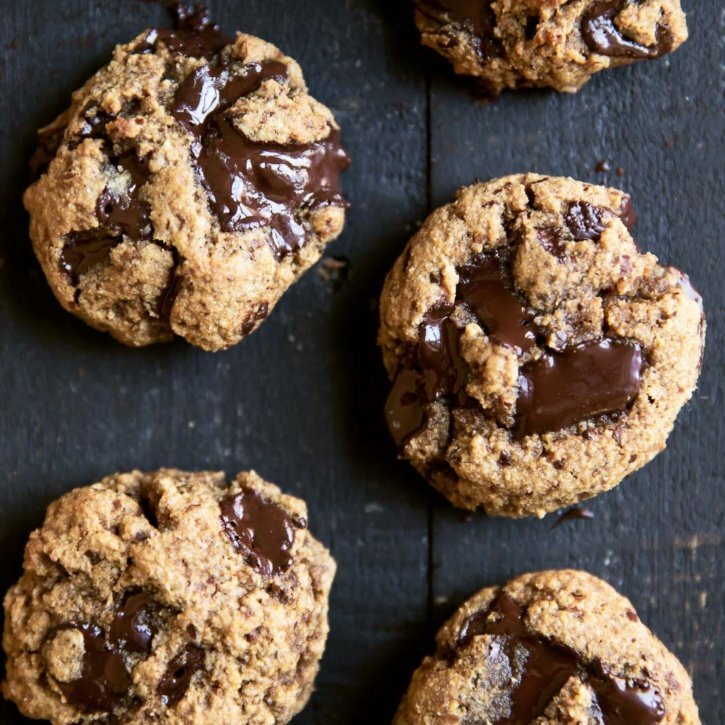 The Best Paleo Chocolate Chunk Cookies + video! Yesterday Tony and I went out for a day date and finally saw The Revenant with my main squeeze Leo. Have you seen it? If not, it’s definitely worth watching in theatres! When we go to the movies, I find myself always bringing healthier snacks. That’s probably not much of a surprise though. 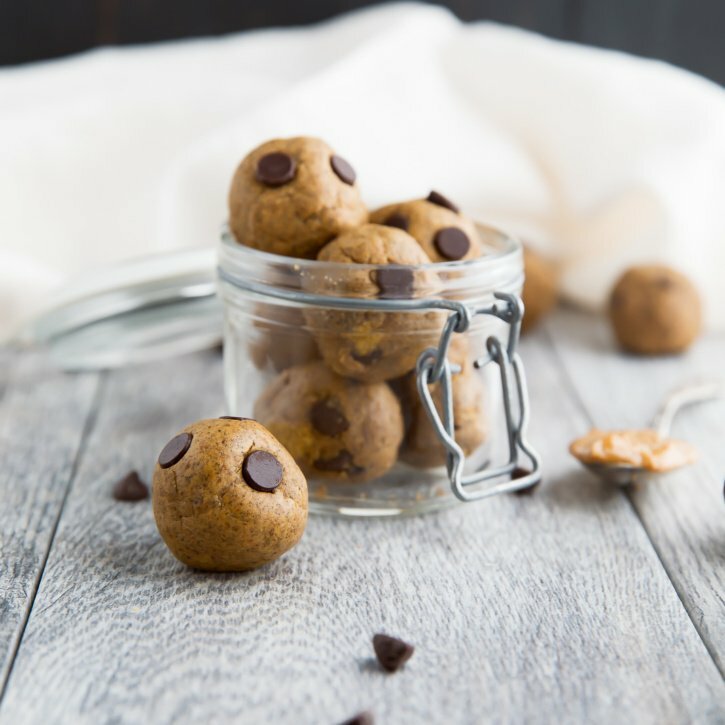 Every once in awhile we will splurge on the movie popcorn, but usually I have a purse packed with my favorite coconut oil and sea salt popcorn plus a few of these paleo chocolate chip cookies. Guys, they are RIDICULOUSLY GOOD. Think addicting, thick, chewy and full of melted dark chocolate puddles. Normally I start each blog post with some sort of little story about life and what I’ve been up to lately. 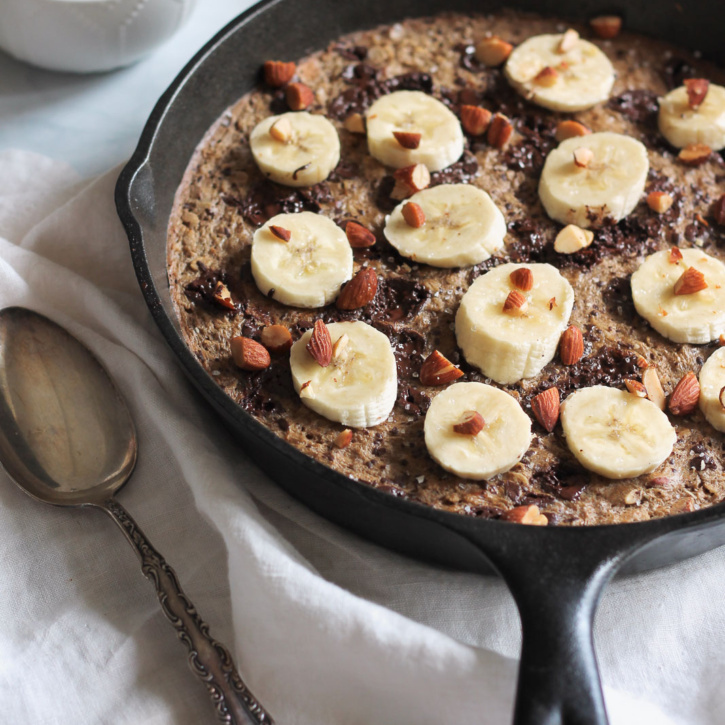 Today I just want to bring you a recipe for paleo banana bread because frankly, it’s just awesome. I’ve been hoarding this recipe in my drafts for months, waiting for the perfect moment to hit publish. Mondays always seem to be the best because you’re all looking for new things to make, and who doesn’t love a good treat for the rest of the week? Happy New Year, friends! Today marks my last day soaking up the Florida sunshine! Can’t wait to tell you all about it soon. 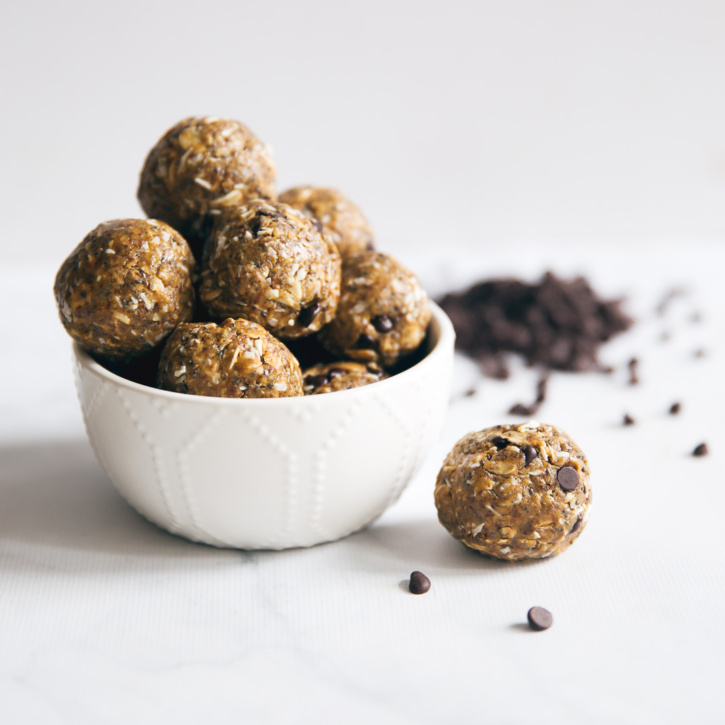 In the meantime, I have been waiting to bring you these AMAZING peanut butter protein balls (that taste like a a mix between cookie dough and a peanut butter cup) since late October. The timing just never felt right with all of the holiday goodies. I’m sure you’re more than ready for them now. Am I right?